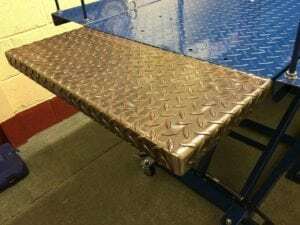 SAS Welding Services recently carried out a modification to this motor bike ramp for a customer from Street in Somerset. 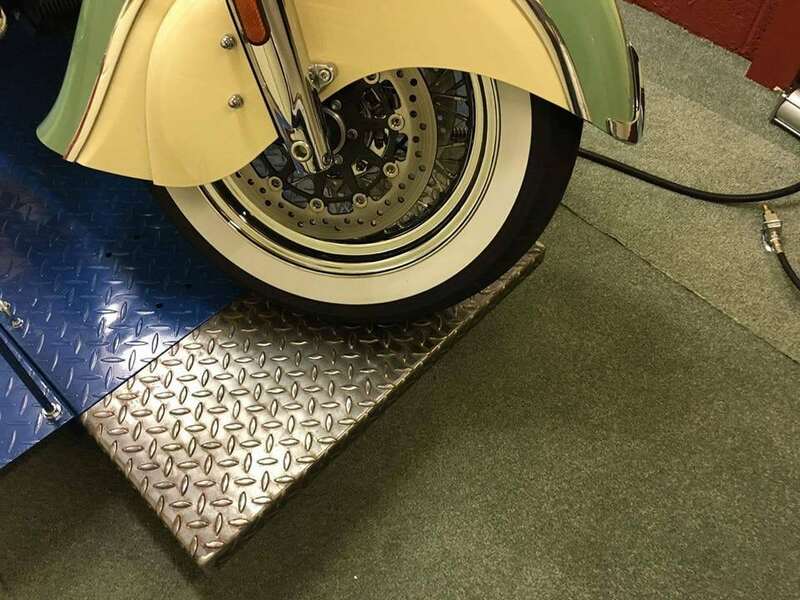 We fabricated an extension panel to extend the bike ramp allowing room for a large motor bike. We made a steel angle iron frame and then we cut and folded some steel chequer plate and MIG welded it together. 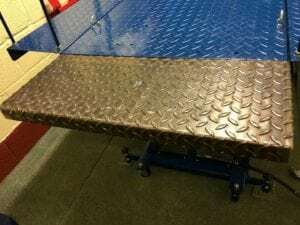 This created a nice looking panel to match the original ramp bed. SAS can fabricate bespoke metal items to your specifications. Our skilled MIG Welders can create something special for you, always to the highest standards. If you need a MIG Welder or any fabrication services give SAS a call on 01458 57 00 57.